Something a little different for you today – I have an interview with an author! Specifically, RJ Furness, the author of the Orgo Runners books (review here) and its related series, dissent – his new book, Sapphire Smyth and The Shadow Five, is being released in six parts. My interview is part of the blog tour to celebrate the release of Part One: Shadows, and I’m so excited – I love this book! Distortion Blog Tour: Victor Dixen’s Recommendations! If you’ve been following me for a while, you’ll know that I absolutely fell in love with Victor Dixen’s Ascension, a book billed as ‘Love Island in space’, but which turned out to be a twisty, exciting thriller of a book with amazing characters (review here). The second book in the Phobos series, Distortion, was an equally amazing read which really upped the ante, and my review for that is here. I’m now eagerly awaiting the third book, and to get you all excited, I’m taking part in the blog tour for Distortion and bringing you the books that Victor himself would take with him on a one way trip to Mars! Something a little unusual for me today… If you follow me on Twitter, it’ll be no surprise to you that I’m pretty much obsessed with the Niffler from the Fantastic Beasts movies, so when Jacqueline the Pufflehuffle Kitteh tagged me to do her Fantastic Beasts book tag, I was so excited! Book Friends Pick My TBR! An unusual second post from me today! I’m branching out from reviews to tackle my excessively huge TBR, which you can take a look at here. I’ve got so many things to choose from, I’ve started getting decision fatigue, so I asked my three closest bookish pals to help me out and choose a few things each that they’d like to see me read! Judith and I have been friends for years in real life (we were each other’s bridesmaids! ), and we’ve been swapping book recommendations since we’ve known each other. 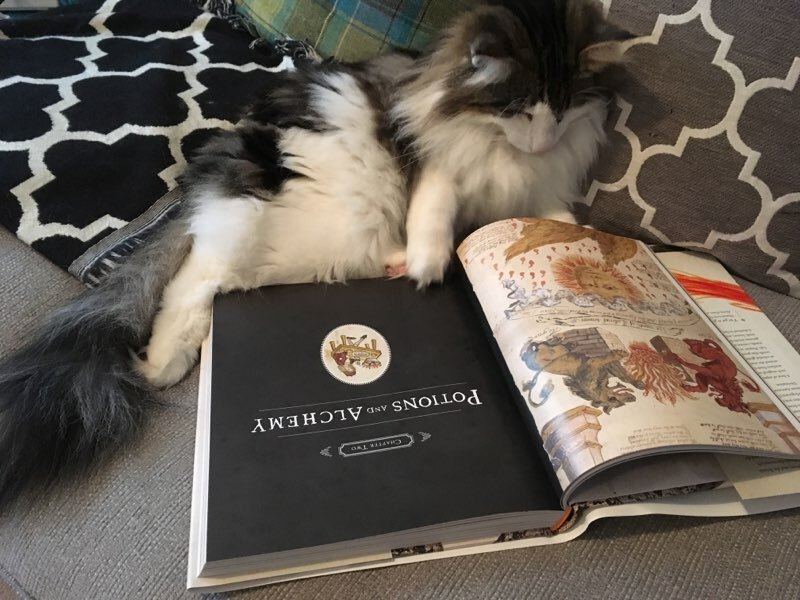 She thinks every book would be improved by adding more dragons. I was nominated for the Out of This World Blogger Award by Teagan at Fiction No Chaser, which is one of my favourite book blogs. The award was created by the awesome Kaleena at Reader Voracious Blog. She created this award to recognize exceptional bloggers that are engaged in the community and publish excellent content. I was tagged to answer these questions by the lovely Ash of For The Love of Books – the tag was originally created by Jenn at Jenniely.com!